Hello friends, wish you all a very happy new year. I am back from holidays after 2 weeks, and hopefully i will be posting regularly and will try visiting everyone often. I am finding it bit hard to sit through at the moment, specially since my dad was here. He went back home with us, and we had lots of fun together here, while he was visiting me. The card I am sharing is the one I made for my dad, and had to hide it from him. His turned 70 on 1st of January. I shared it on FB and Instagram on the 1st, but I am blogging it today. I used the stencil from winne&walter, all the goodies which I got from them are still sitting and crying out loud to be used, will surely play with them now! 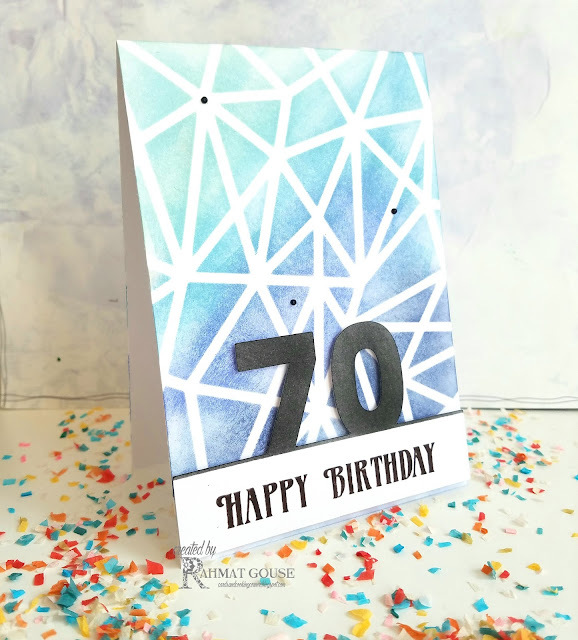 I used distress inks in shades of blue to sponge the stencil. The 70 was cut on my scanNcut, and then, I masked it leaving a thin line and inked it up using black soot distress ink. The sentiment is from Happy Little Stamper. Added the die cut panel using foam adhesive. A few black jewels to finish off. We all wrote and gave it my dad on the 1st, he loved the card very much. Beautiful card!! I love the background :) wish your dad a belated happy birthday and a happy new year! Gorgeous card, I bet your Dad adored it ! 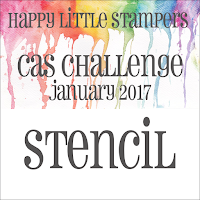 Thank you for joining us at Simon Says Stamp Wednesday Challenge this week and Happy New Year ! Wonderful card Rahmat...love those gorgeous colors and that stencil is amazing. Thank you so much for playing along with us at Happy Little Stampers. Wonderful Card Rahmat..love the color combo and the design...Wishing you a Very Happy New Year Ahead.. Wonderful card Rahmat, love the colours used. I saw your beautiful card over at Simon Says Stamp and I just had to come by to take a closer look. This is really lovely and I love the awesome background pattern. It would be such a blessing to have you stop by and also link this card in our challenge at Word Art Wednesday. Our challenges are always Anything Goes/Family Friendly and we have AWESOME prizes, too. I really hope you will come by to play along with us. Your art work is amazing, and I can't thank you enough for stopping by to play along with us. I really hope that you will join us again soon. Our new challenge starts on Wednesday and Simon Says Stamp will be our sponsor for that challenge. You can link up 5 entries per week. I really look forward to seeing more of your amazing art. 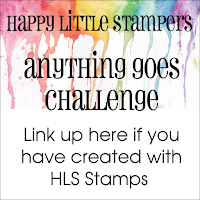 thank you so much for entering our anything goes challenge over at Love to Scrap! I love this very much! Great blending of colors and the mask looks so fantastic. Thank you for joining us over Simon Says Stamp Monday Challenge. Absolutely gorgeous! Thanks so much for sharing with us in the Love To Scrap Challenge Blog's "Anything Goes!" challenge!